Tonight, and after a completely anti-constitutional "express process" that lasted for less than 24 hours, the Greek Parliament voted for the new austerity measures prescribed in the 800 pages (!) of the 3rd Memorandum (cuts of 13,5 billion Euro). The second day of the 48-hour general strike of the trade-unions reached its momentum today, after 17.00 local time, when more than 100.000 demonstrators gathered on Syntagma Square and surrounded the Parliament. Heavy rain did not prevent the citizens of Athens from joining the demonstration. During the demonstration, the 71 MPs of SYRIZA USF temporarily left the Room of the Parliament, holding a banner with the slogan "You destroyed the country! Leave now!" and joined the demonstrators on the Square. Water cannons (first time that they were used in Greece), stun grenades and extensive use of tear-gas. In total there were more than 100 arrests and at least 5 injured demonstrators. The voting process ended at around 00:30 am local time.The 3rd Memorandum has been ratified. Since 1 MP was absent and 299 voted in total, the government needed a 150/299 majority instead of the normal 151/300. 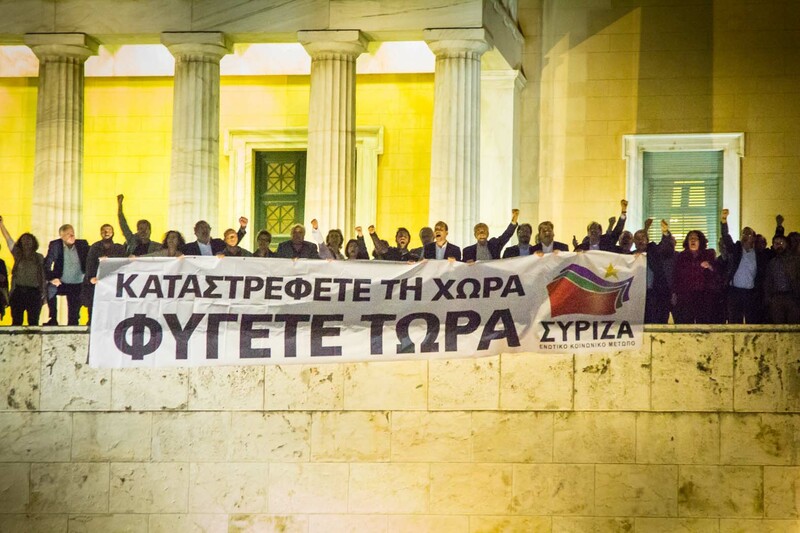 Immediately after the announcement of the result, the leaders of New Democracy (Mr Samaras) and PASOK (Mr Venizelos) expelled 7 MPs from their Parliamentary Groups, for not voting in favor of the measures (6 from PASOK and 1 from New Democracy). The battle continues with the next crucial vote, on Sunday (11/11): Budget 2013. Until Sunday there will be consecutive demonstrations all over the country. Head Responsible of the European Policy Dpt.